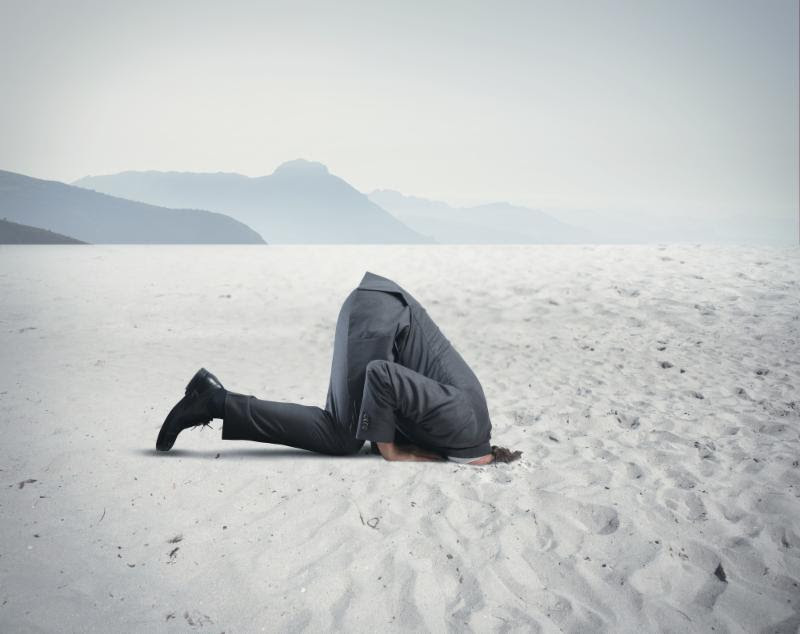 Burying your head in the sand? Psychologists say the “ostrich problem” – ignoring information that can help us – arises because of the need to avoid negative feelings. Despite evidence that monitoring can be good for us – for example stepping on the scales when trying to lose weight – there are times when we intentionally avoid such information. Researchers think people ignore what is going on around them to avoid negative feelings, often of guilt, that accompany being presented with reality. We get the ostrich problem. Planning for long-term care is not really uplifting. No one wants to talk about losing independence and needing assistance. But it’s important to have a plan and may be necessary to protect assets and income to sustain your family’s standard of living. It’s November. And, once again, Long-Term Care Awareness Month. You or a loved one will likely need LTC or become a caregiver. Just think about the reasons for needing care. They range from cognitive diseases like Alzheimer’s to physical limitations from accidents or medical conditions like ALS, cardiovascular disease, diabetes, MS, etc. Test your awareness. What do you know about long-term care? We’ll make it easy for you to score your knowledge. All answers are True. Have you thought about care venues? Or care providers? Do you know the costs associated with your preferences? How will you pay for this care without compromising your family’s standard of living or retirement portfolio? If you needed LTC, where would you want to receive care? If home, is the house multi-story? If so, could it be made more accessible – first floor bedroom, ramps, walk-in bathtub, electric stair chair, etc.? Where would you want to live if widowed? Would you feel isolated at home? If living in your own home were no longer an option, where would you want to live? Care venues might include home, living with a child or family member, group or residential home, assisted living community, continuing care retirement community, nursing home or other options. If you needed LTC, who would provide the care? If married would your spouse provide care. Or kids? Other family members? Friends? This is an opportunity to think through who could actually be a caregiver and delve deep into the pros and cons of each potential caregiver. How old is your spouse? Will your spouse be alive and healthy enough to provide care in later years? Does your spouse want to be the hands-on caregiver? Does your spouse want to help you bath and dress or assist with toileting needs? Could your kids provide care? Do they live in the same area? Do they work? Do they have kids of their own to care for? Are they really available to provide care? Research tells us that the future financial security of children is negatively impacted by caregiving. Income, saving, retirement contributions and Social Security benefits are all reduced. And, think about how the dignity of family relationships would change as kids become hands-on caregivers involved with bathing, dressing, toileting, etc. Care providers might include a spouse, partner, significant other, children, sibling or other family member, a friend, volunteers or paid caregivers or other options. If you needed LTC, how would you pay for it? Traditionally in our country, LTC has been provided at home by family members, primarily by women – wives, daughters and daughters-in-law. Today, there are fewer family members to help as a result of high divorce rates, more women in the work force, smaller families and more families living apart. Relying on family members to provide care is not the option it once was and why being able to pay for care is more important than ever before. If you plan to self-fund, what assets would you liquidate to pay for care? How would that impact income? Taxes? Would you consider a reverse mortgage? Would family members help pay for care? If Medicaid is your funding option, list assets you would gift, transfer or spend to qualify. If private insurance is your funding option, how much expense do you need to offset with insurance? Define a premium budget. What could you afford monthly or annually? Would family members help pay for insurance premiums? Do you have other funding options? If you will think through these three questions and write down your desires you are well on your way to having a plan for long-term care. The next step is to discuss your desires with family and others who need to understand your plan. Then be sure your funding strategy is in place. How much long-term care expense needs to be transferred to insurance? What is a comfortably affordable premium budget? By the way, November is also National Alzheimer’s Disease Awareness Month. Alzheimer’s and other forms of dementia comprise the #1 reason for long-term care insurance claims. November is also National Family Caregiver’s Month. Unpaid family caregivers contribute $450 billion of the $725 billion currently spent annually on LTC. Planning for long-term care is about dealing with the reality of needing assistance as we age. We’ll be the first to acknowledge this is not a fun conversation. But ignoring information to avoid the reality of needing long-term care is not a solution. Six facts you must know before buying long-term care insurance. If your download doesn't start immediately, click here to download.